The BWSP Basketball Cheerleading program just finished its 2nd year with 27 cheerleaders making up 3 teams. 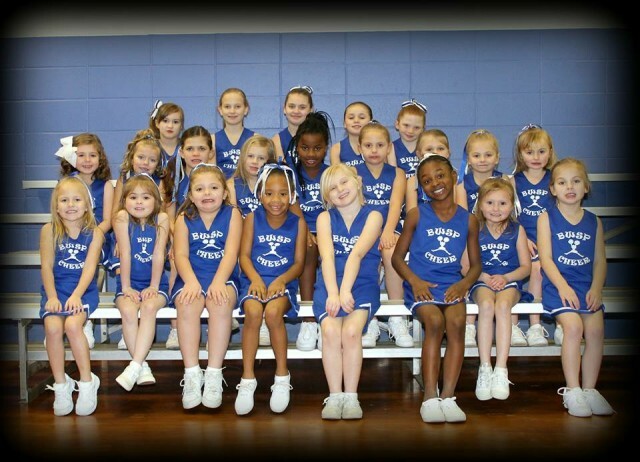 The cheer program is open for all boys and girls between the ages of 4-12 years old. The teams cheer for a variety of basketball teams at Blue Water Springs Park. Since the teams only cheer for basketball, the season runs alongside the basketball season beginning in November and ending in February.